Our house is a perfect spot for Your peaceful and nice holidays. Villa Leone provides comfort and space. Enjoy in numerous terraces and comfort space. Pebble beaches and clear sea. Enjoy swimming and sunbathing in the vicinity of the house. Beaches in Slatine are perfect place for refreshment on hot summer days. 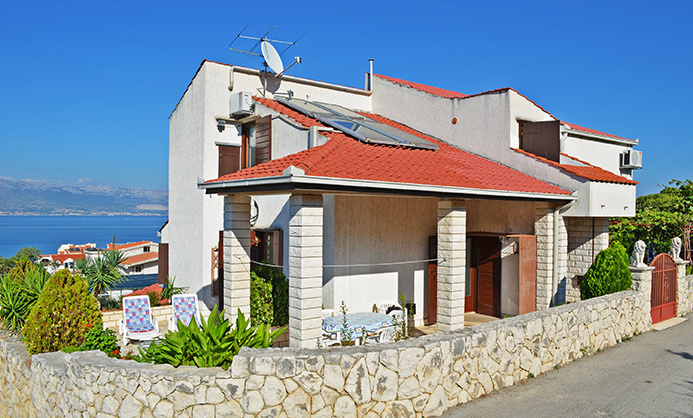 Villa Leone, with 2 apartments, owned by Bogetic familly, is located in Slatine on the island of Ciovo. Villa is surrounded with gentile cared flower garden. Nearby pine forest contributes to the peacefull and quiet environment, and the view overlooking the whole Kastela bay and the city of Split will make Your summer vacations be also relaxation. This mixture of historic layers brought some clumsiness and some things done too fast but today all that makes a part of its originality. The big city today lives by the silent beats of history, lively spirit of the young and its particular Mediterranean charm. 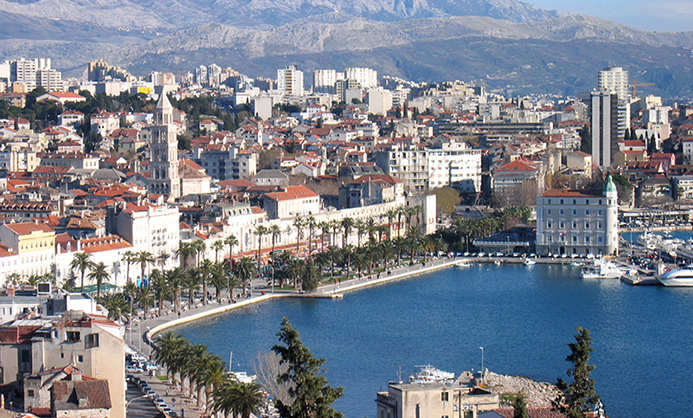 Besides the sightseeing in Split, the town makes an excellent base for exploring the wonders of Split-Dalmatia county . 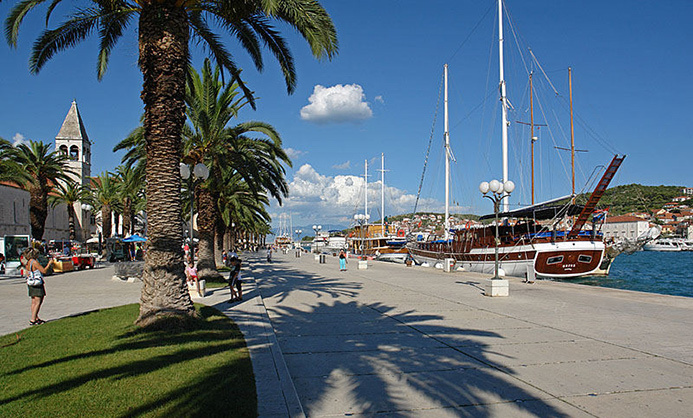 Trogir is situated in the centre of Dalmatia. The heart of Trogir is a small islet lying between the gentle hills on the mainland and the coast of the Island of Ciovo. It is a small town of 12,000 but the airport of Split is only 3km away. Trogir gets the mild Mediterranean climate – about 30C in summer - and is actually a real treasure if you fancy avoiding the other touristy destinations in Croatia. Apartment 2 115 € 120 € 170 € 120 € DAMAGE DEPOSIT IS 200 € ! TOURIST TAX IS INCLUDED ! FREE WIRELESS INTERNET & FREE A/C! PETS ARE NOT ALLOWED ! Villa Leone, with 2 apartments, owned by Bogetic familly, is located in Slatine on the island of Ciovo. Villa is surrounded with gentile cared flower garden. Nearby pine forest contributes to the peacefull and quiet environment, and the view overlooking the whole Kastela bay and the city of Split will make Your summer vacations be also relaxation.